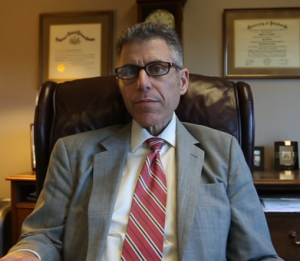 Robert A. Crisanti has been practicing law in Western Pennsylvania since 1985. After graduating from Central Catholic High School of Pittsburgh in 1978, he attended the Ohio State University graduating with distinction in 1982, with a dual degree in Economics and Political Science. Robert then attended the University of Pittsburgh School of Law, where he earned his juris doctorate in 1985. Following graduation from the University of Pittsburgh School of Law, Robert founded a general practice, focusing his attention on Separation and Divorce, Custody and Child Support, Traffic Violations, Estate Administration, Criminal Defense, and Driving Under the Influence. He is dedicated to continuing to serve his clients and to deliver a level of personal service that is unsurpassed.